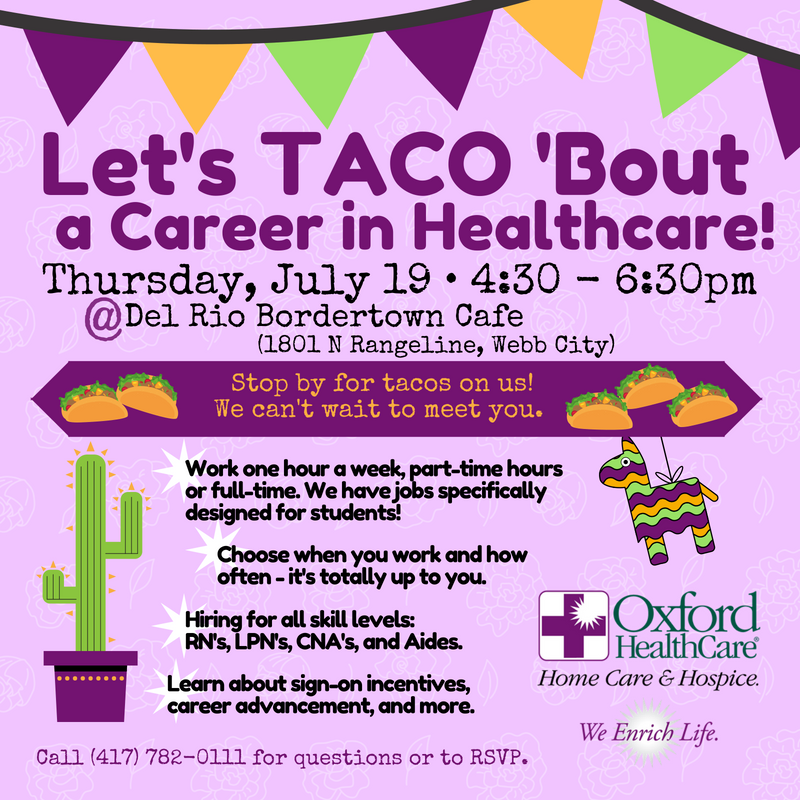 Oxford HealthCare is looking for RN’s, LPN’s, CNA’s and Aides – and hopes to find some of them at Del Rio Bordertown Café (1801 N Rangeline Rd) on July 19th. All current RN’s, LPN’s, CNA’s, and students are invited to the come-and-go event, which is scheduled for July 19th from 4:30 – 6:30pm and includes a taco fajita bar catered by Del Rio. For more information or to RSVP, call 417-782-0111.